Last week I was able to take a vacation day and meet up with my unbiological twin, Becky. It was our first get together since she's moved back to the area! 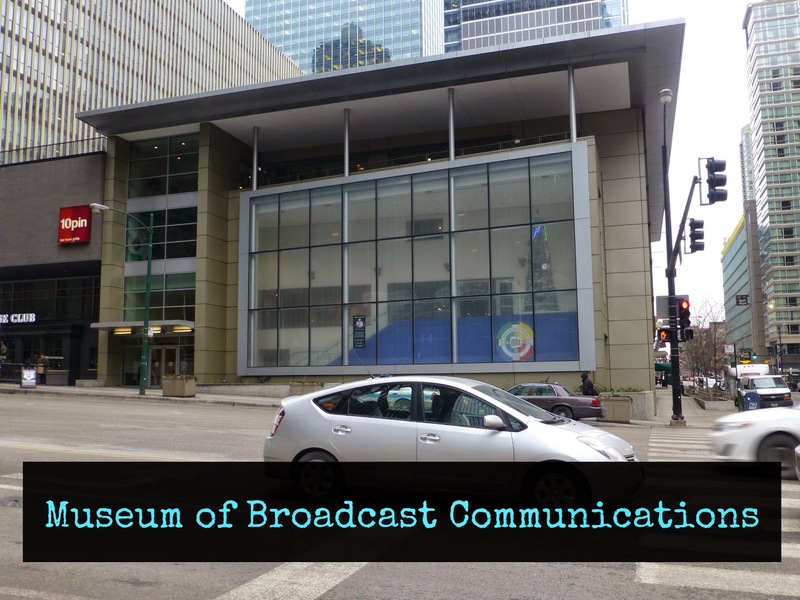 We wanted to do something fun and since the summer of 2012 when the Museum of Broadcast Communications moved into it's new 62,000 square foot building I've been dying to go visit. This was the perfect choice for the two of us. Just north of the river, the MBC is a nice little walk from most of the Loop's public transportation and just a few blocks west of the shopping on Michigan. Heading into the building you're greeted by a friend staff member of the two and a half floor stairwell/foyer area. As we took the stairs to the second floor to see the radio exhibit and radio hall of fame we came across this awesome sculpture of old TVs and radios. When you first get onto the second floor there is an extremely interesting history of the radio and how it was created. They discuss the Powel Crosley, who made the radio accessible to the masses and how he made a Roamio as well, a radio for your car. It's a radio ... that roams ... ha! Hilarious. As you enter into the open exhibits on the second floor you can't help but look around at all the images of the members of the radio hall of fame. Taking in as many of the names and faces as you can, definitely seeing a number of familiar people. I love seeing all the different radios displayed throughout the hall. I probably took waaaay to many photos of all the crazy styles. There was a Victrola living room scene playing early 20th century radio shows, that looked like it could be set up for programming as well. Becky and I then came across a radio studio the MBC had set up, I'm guessing that they might do some recording or maybe even broadcasting in the studio. Needless to say we went all Dice and Dizz on it! As we're in public rehashing some of our material we realized how dorkily awesome our show was. Hopefully some day soon I'll have some clips to share. After reliving our radio glory days we headed up to the third floor and relived some of our childhood TV days. When you depart the elevator the one of the first big scenes you encounter is from the Bozo show! If you grew up in the Midwest you know who Bozo is and you wanted to be on the show sooo bad. The vignettes they had of artifacts from the different television shows were exciting. It was nice that they were very complete and had both costumes and parts of the different sets, along with videos playing from the show. In fact the amount of video being show around the exhibit hall was great, it really showed the diversity and brought to life the shows. 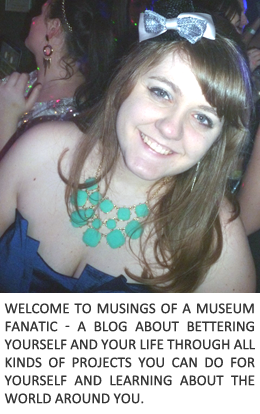 Overall this was a fun museum to spend your afternoon in! Be sure to check out their website for hours. Since they're located just north of the river it's really easy to get there from all different public transportation hubs. There are also a lot of parking garages in the area so if you really need to drive you are able to park.